Poptimism is, overall, a force of good. There’s something difficult to understand and even more challenging to explain about simplicity being done right, which is why students blurt, “I could have done that” comments after seeing Rothko or Pollock paintings for the first time. Cutting musicians short of the praise they deserve for making the delectable so easy to swallow is cheap. Spoon writes songs that are easy to play but never bore. Taylor Swift pens lyrics that are straightforward, yet worth overanalyzing. Rihanna’s beats are worth blasting beyond the club setting. We don’t hold these musicians from their merits. So when the Carly Rae Jepsens and the Charli XCXs finally receive universal praise, it’s time we revisit artists who missed the poptimism light of the past. 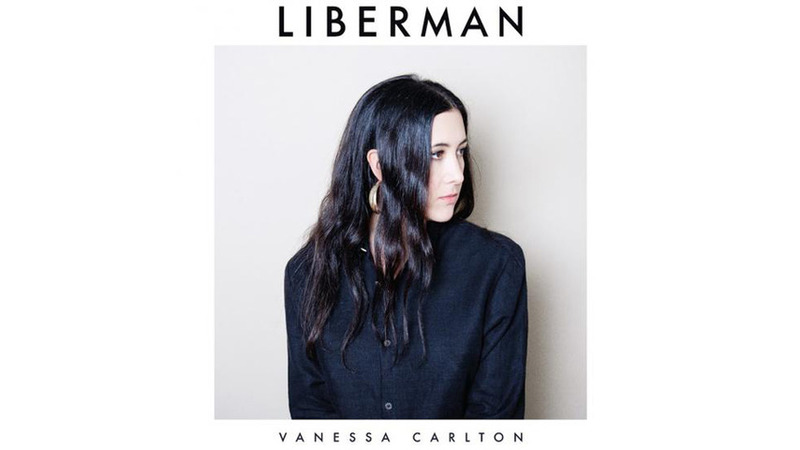 With a new album showcasing her wealth of talent, Vanessa Carlton—a songwriter whose old pop songs still soundtrack films and whose new LP Liberman is worth a listen free of mockery—easily slips into the rankings as one of them, too. Liberman plays out quickly over the course of ten songs, stacking melodies on top of one another that highlight her vocals first and foremost. Forget about the piano. This is about the sound of singer with a properly sweet tone, and “House of Seven Swords” creates a surprisingly tall platform for her voice to stand on. Electronica production creates an air of intrigue, cushioning each line with padded bass and opaque synths not too far from the way Radiohead’s “Give Up The Ghost” and “Codex” do. Opener “Take It Easy” and “Nothing Where Something Used to Be” let her flesh it out farther, hitting high octaves with a warmth despite crisp enunciation throughout. Carlton’s sophomore album, Harmonium, saw her tread into the shadows on tracks like “Annie” and “Papa” with intentionally dark piano work, most of which was grossly underrated. Her third release, Heroes & Thieves, dove into the world of orchestration, elongating choruses and production until it came across like an un-adapted musical. Liberman acts as the middle ground between the two. “Willow” revisits that eerie piano work with thicker percussion backing it up, taking the tone of Harmonium and stretching it to include guitars, as does airy outro “Ascension.” She leaves her past albums behind with only their takeaways in hand, crafting a record that’s lighter and easier to process while technically being more produced. In stepping off the straightforwardness, Carlton can’t help but slink into the campy. Acoustic ballad “Matter of Time” sounds like an unplugged session at best and campfire sing-a-long at worst, resulting in three minutes of aimless wandering thanks to overproduced guitars and charmless harmonies. “Unlock the Lock,” though far more fleshed out than the prior cut, harps on clichés as it turns to a thoughtless bridge (“You know what you should do / Do you choose not to go? / The key hangs low around your neck / I know what you know / Unlock the lock”) and repeats the titular phrase as a chorus, giving one of the album’s most melodic numbers little, if any, depth. After all, Vanessa Carlton’s writing was made for road trips and karaoke nights. Liberman may be more structured than her early hits, but it’s still got hooks worth singing with friends, even if the piano steps off the main stage. “Blue Pool” trades its tinkering piano opening for a rich chorus that remains modest despite a quickening guitar line. It’s the type of song that sounds like its ready for revenge, a feeling strengthened by the lines of piano scales that form an outro. She built a record of songs that accompany life’s blurry moments, where memory fades and you’re left trying to color in the space between moments. It’s pop with a ballad tone, and, at the end of each track, it feels good. In April of this year, Carlton released a single seemingly out of nowhere. “Young Heart,” a standalone track that didn’t make it onto Liberman, sees her pick up guitar instead of piano to sing a few lines about lessons learned from relationship mistakes. It’s no lyrical reinvention of the wheel and it’s no soon-to-be chart hit—it was cut from the album for a reason—but for most, especially those who rely on the radio as their pop radar, it’s the first they’ve heard of Carlton since “A Thousand Miles” in 2002, if not “White Houses” in 2004. Maybe that’s why she published it in the first place. “Young Heart” is as much a reminder of her existence as it is a refusal to consider this a comeback. Vanessa Carlton never went into hiding. She’s been expanding her lyrics, delving into orchestration, and, as Liberman goes on to prove, polishing her status as a proper pop songwriter though we rarely, if ever, labeled her as one in the last decade. With her fifth album in hand, it’s time we give her the credit she’s earned.